What do Airbus, Nespresso and Apple computers have in common? They all use aluminum. Looking at how this metal is so ubiquitously used today, one probably finds it hard to believe that it used to be worth more than gold. With Christmas just around the corner, many are looking for that ideal Christmas gift. How about giving a piece of art? Let me introduce the SIGG water bottle! If you have lived in Switzerland for any length of time, you are surely familiar with this iconic bottle. However, you may not have known that the current design by Kurt Zimmerli has been a featured piece at the MoMA in New York City since 1993. 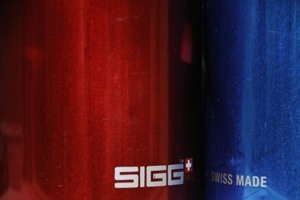 The SIGG company itself has a history dating back to 1908 when it was founded by Ferdinand Sigg and Xaver Küng in Biel. In 1917, the company moved to Frauenfeld where it has been located ever since. 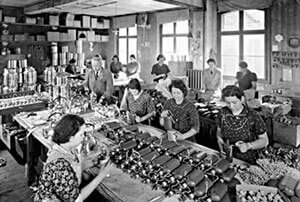 After the first World War when raw materials were expensive and harder to come by, the SIGG company was looking for a solution to processing the aluminum leftovers from the pots and pans they had been producing. Necessity being the mother of invention (and the founders being experimentally inclined), the SIGG bottle was born. The bottles are produced from a single piece of aluminum - which means that there are no seams - guaranteeing the bottle’s longevity. The inside of the bottle has an EcoCare (chemically neutral) coating to ensure that the water inside does not absorb an aluminum taste. Beside their aesthetically pleasing design, SIGG bottles are also good for the environment. After the exhibition Endstation Meer? (Final Destination Ocean?) 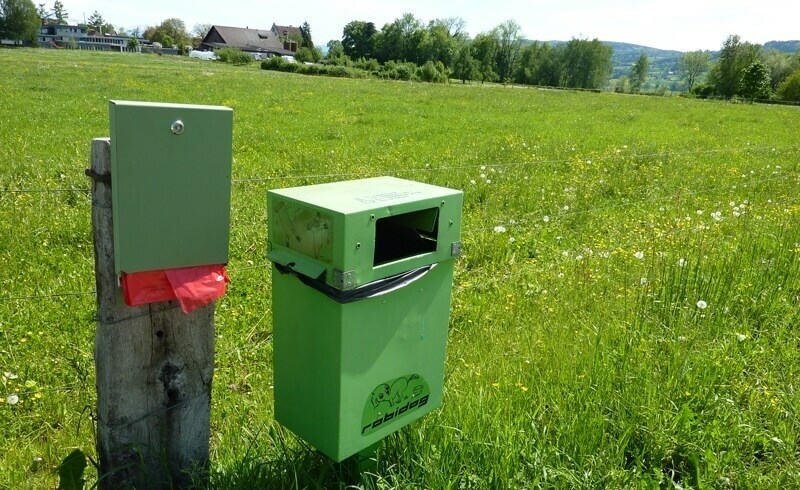 in Zurich’s Museum für Gestaltung, many people became aware of the dangers posed by plastic, especially in the form of PET bottles. While plastic PET bottles are recyclable, more than 50 percent of these bottles are not recycled and find their way into the world’s water systems - ending up in the oceans. Furthermore, the extraction of oil and the transport of water in plastic bottles is a major environmental problem. The extraction and production of raw aluminum is not without its own energy and environmental demands. However, after only 12 refills, a SIGG bottle has less of an environmental impact than a common PET bottle. SIGG bottles are also infinitely recyclable, in which case even less energy is needed to turn the aluminum into a new product. The SIGG bottle makes a great Christmas gift for anyone, whether they are a hiker, student, stay-at-home parent or business person. It will also help the recipient be more environmentally friendly. Finally, water is still the healthiest choice and most tap water in the developed world is more regulated than bottled water (!). With over 120 different designs and accessories, these bottles can also be customized. Some thoughts about this thing called the "Swiss Stare"
Peek inside the new book "How to be Swiss"